Mr. Muhammad Ali Tabba is the Chief Executive of Lucky Cement Limited. 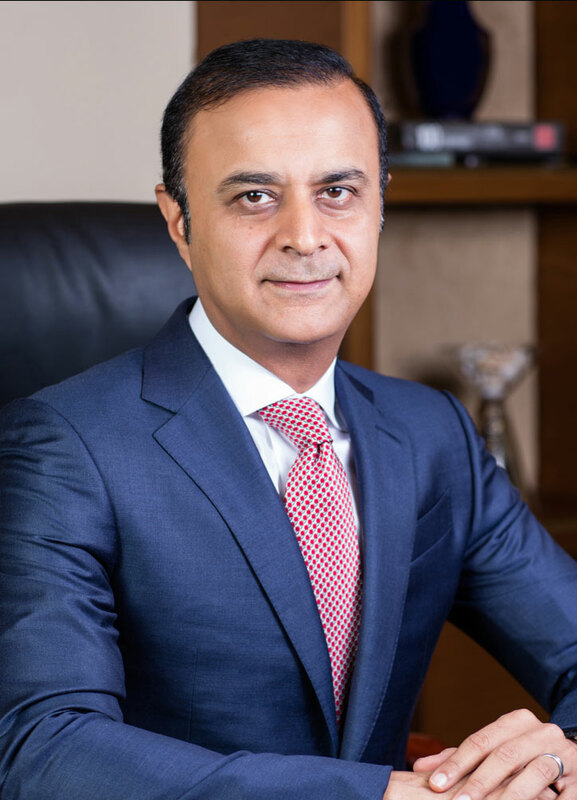 He also serves as the Chief Executive of Yunus Textile Mills Ltd (YTM), a state-of-theart home textile mill and the largest exporter of home textile products from Pakistan with subsidiaries in North America and France. Mr. Tabba also serves in the capacity of Vice Chairman of the Board of ICI Pakistan Limited. ICI Pakistan Limited is the leading producer of Polyester, Soda Ash, Chemicals, Life Sciences and Pharmaceuticals products. Mr. Tabba is also the Chairman of KIA Lucky Motors. The company has entered into a joint venture agreement with the South Korean carmaker to manufacture, assemble, market, distribute, sell, offer after-sales service, import and export all types of Kia motor vehicles, parts and accessories in Pakistan. All of the above companies are sponsored by YBG which is one of the largest export houses and business conglomerates in Pakistan. Mr. Tabba is also the Chairman of Pakistan Business Council (PBC). PBC is a business policy advocacy platform comprising of the largest private-sector businesses and conglomerates, including multinationals in Pakistan. Pakistan Business Council aims to improve the general business environment of the country. He is also the former chairman of All Pakistan Cement Manufacturing Association (APCMA), a regulatory and apex body of the cement manufacturers in Pakistan. He has been appointed by the Government of Pakistan to serve on the Board of Directors of Pakistan International Airlines Corporation Limited. In recognition of his outstanding services and contributions in the social development sector of Pakistan, World Economic Forum (WEF) in 2010 bestowed the title of Young Global Leader (YGL) on Mr. Tabba. For his distinguished services rendered in the field of entrepreneurship, public service and philanthropy; Government of Pakistan in 2018 conferred upon Mr. Tabba “Sitara-e-Imtiaz,” the third highest civilian award. Mr. Tabba is the Vice Chairman of a not-for-Profit organization, Aziz Tabba Foundation. Aziz Tabba Foundation is the philanthropic arm of YBG which is working extensively in the field of social welfare, education, healthcare and housing. The Foundation runs two state-of-the-art hospitals in Karachi; 170 bed Tabba Heart Institute (THI) which is a dedicated cardiac care hospital and 100 bed Tabba Kidney Institute (TKI), a specialized institution providing comprehensive treatment for Nephro-Urological disorder. 6-A Muhammad Ali Housing Society, A. Aziz Hashim Tabba Street, Karachi-75350, Pakistan.